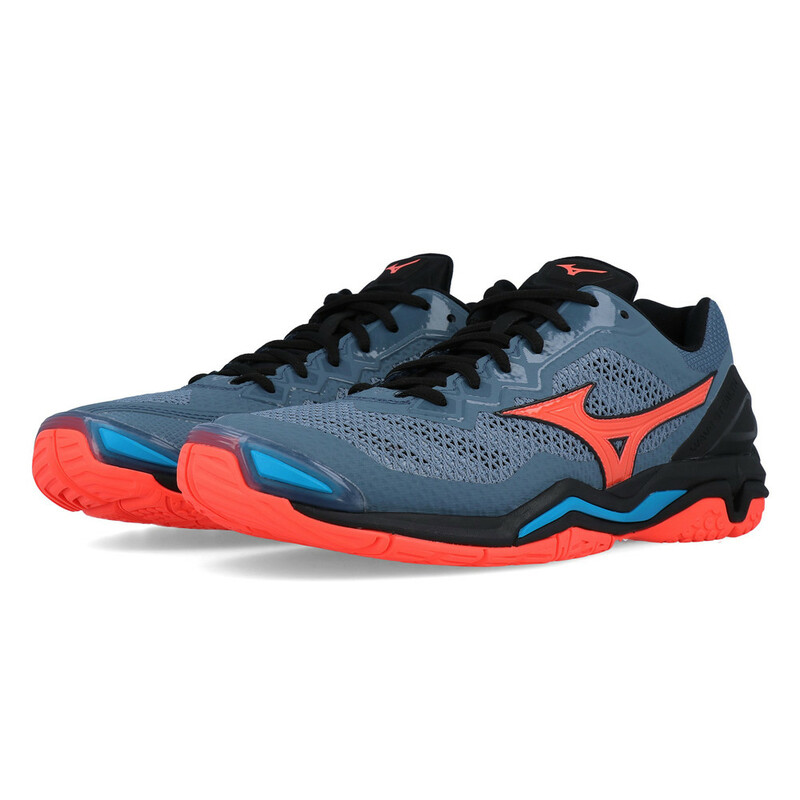 The latest evolution of the Mizuno Wave Stealth is the Wave Stealth 5 which allows for immediate and powerful change of direction for complete stealth on the indoor court. 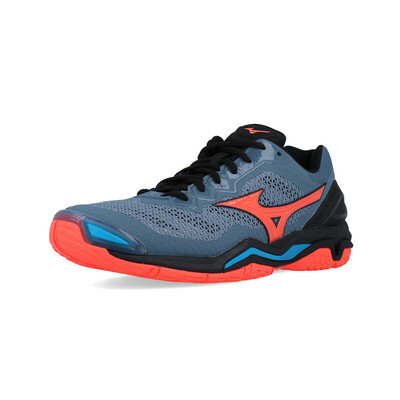 This shoe is the best in its class for stability and cushioning thanks to Mizuno's Wave technology. The Mizuno DynamotionFit is used in the upper of this shoe which is a system which uses highly advanced motion capture and biomechanics technology. 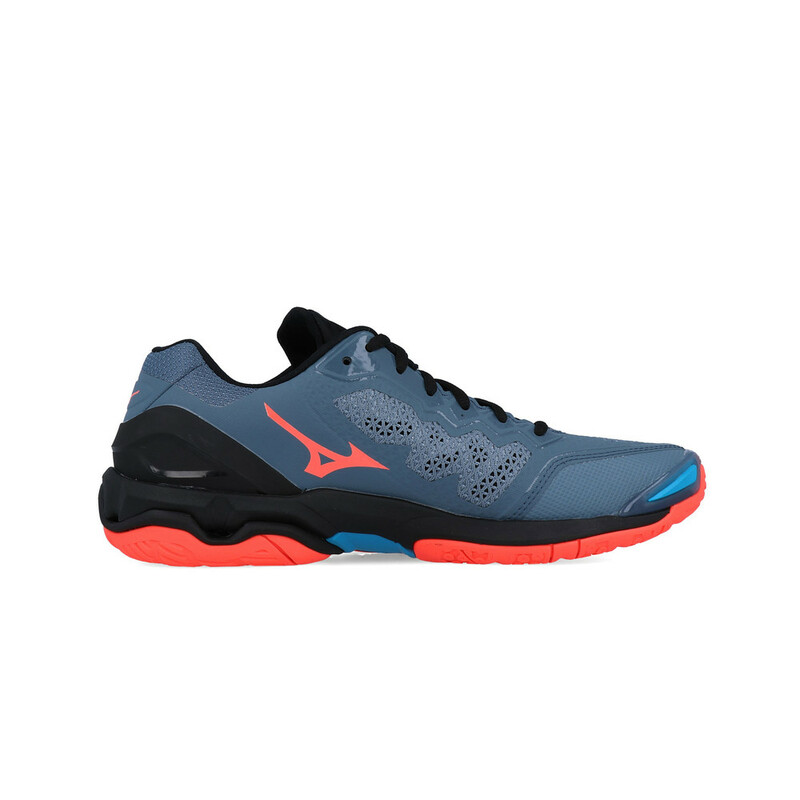 A blueprint has been designed specifically by Mizuno to engineer shoes such as the Wave Stealth 4 to work with your foot throughout the gait cycle, keeping your feet going in the right direction safely through the entire game. The material covering the toes is made using Mizuno's AIRmesh. This material allows a steady airflow in and out of the shoe, working to keep the feet ventilated for a higher level of comfort and breathability. A DuraShield is placed at the front of the shoe to keep your toes safe during certain moves and positions your feet may be put in on the court. The Mizuno specific wave plate is incorporated in the Wave Stealth 5's midsole to provide specific mid-foot and lateral support, and dynamic cushioning. An anatomically moulded, removable insock is also used in the midsole to offer extra cushioning and comfort to the wearer. An advanced, lightweight cushioning material known as Sr Touch is added into the midsole which absorbs shock and keeps the transition smooth and fast due to its quick rebound properties. In addition to this, another midsole compound called ap+ brings lightweight rebound and cushion durability to the shoe, whilst U4ic, a compound provides high comfort and performance. For ventilation for the shoe, heat and humidity is removed through a series of channels within the midsole. The Mizuno Intercool system will work to keep your feet and the shoe itself cool. 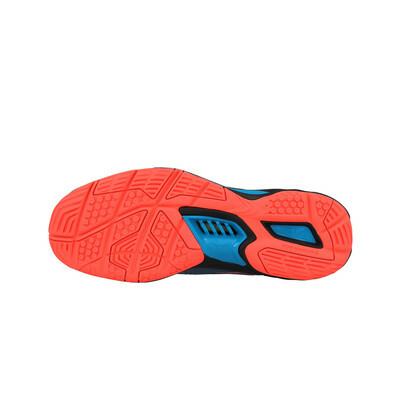 The Stealth 5 outsole is innovatively constructed using specifically designed flex grooves to improve stability and on-court agility which is also known as Dynamotion Groove. Specific to indoor and court sports, the shoe uses XG Rubber, a performance-enhancing outsole that gains traction when you need it most. DynamotionFit - Mizuno Dynamation technology is based on anatomical research to create patterns that give improved garment fit and full freedom of movement. AIRmesh Breathable material that allows a constant airflow. Durashield Toe Guard Thicker material covering the toe protects them. Wave Shield Unique midsole technology for cushioning and stability. SR Touch Shock is absorbed making transitions easier and faster. 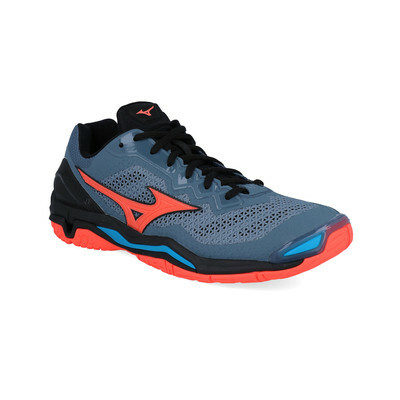 ap+ Lightweight midsole compound that improves cushioning and durability. U4ic Midsole compound for comfort and performance. Mizuno Intercool Ventilation system that reduces heat and humidity in the shoe. XG Rubber Performance-enhancing rubber that gains traction when you need it most.